Cheap International Calls with no connection fees. 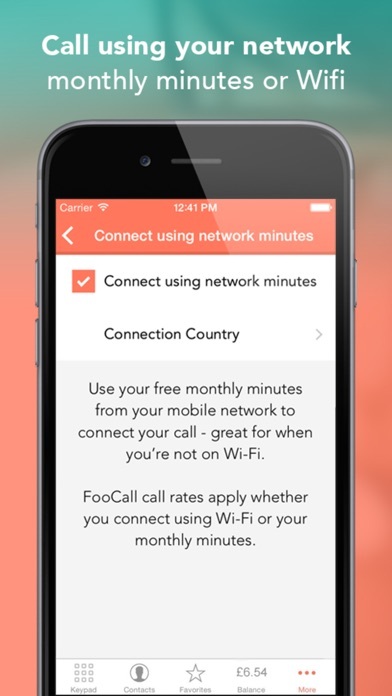 Download FooCall today and enjoy cheap international calls with no connection fees, plus your first call is FREE* Why download FooCall? • No Connection fees • Low call rates for over 200 countries • Earn free credit when you share and recommend FooCall • Make international calls using Wi-Fi or monthly network minutes • No SIM card required, use on any network • Great Call Quality using bundled minutes, Wi-Fi or mobile data. 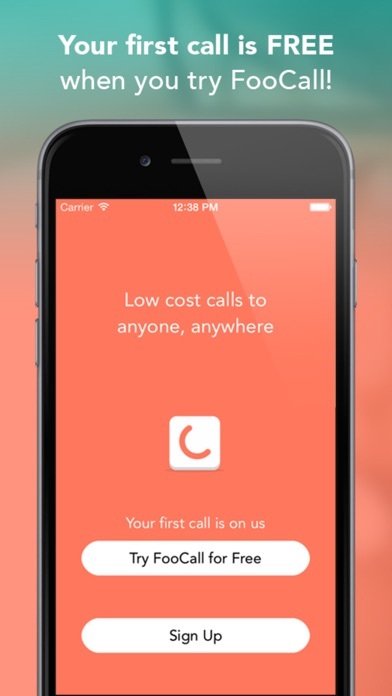 • Check all our Calling Rates in app • No ads in the FooCall app - just download, add credit and make your calls • Easy to topup with in-app payments directly from the app Whether you're calling from home, a cafe or whilst travelling, FooCall gives you the flexibility and reliability you need when making calls abroad. We do everything we can to keep our call rates as low as possible, without compromising on quality. No matter where you are in the world, you can benefit from high quality, low cost calls with FooCall. 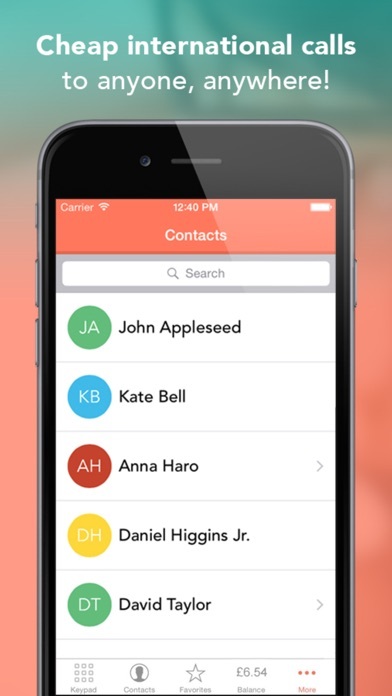 Try FooCall out now – your first call is on us*! 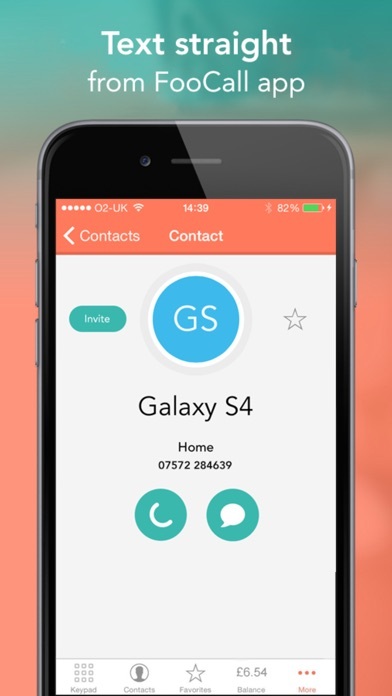 * First call is free up to £0.10 credit, call rates will vary depending on the country you are calling.